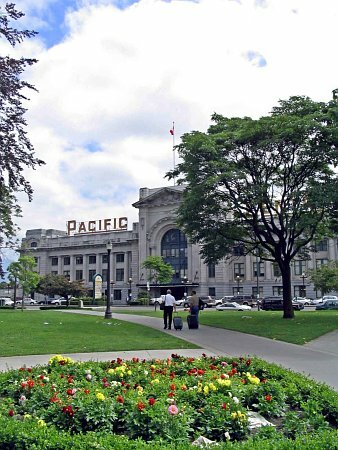 This grand park doubles as a gateway to the historic Canadian National Railway Station, with tasteful entry plazas and beds of colourful flowers. 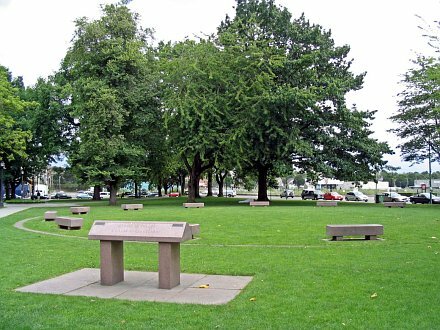 Thornton Park is home to the Women’s Monument, a memorial to female victims of violence. Many people enjoy relaxing under the magnificent trees, including the giant Catalpas with their glamorous displays of early summer blooms. The Park Board started work on the construction of this park on March 26, 1923. The project called for the import of sand and black Chilliwack soil and this was brought in on a special train track provided by Sir Henry Thornton, head of the CN Railway. On December 17, 1936 a bronze plaque was unveiled to the memory of Sir Henry Thornton who the park was named for. Similar plaques were installed at 15 locations across the country in commemoration of his work in running the CNR. For many years the Park Board received $800 per year to maintain the park from the Great Northern Railway. In 2003 the park was completely refurbished to its original, classic design. The terminal is still here, now named Pacific Central Station.